Hearth Bread Line with Swing-Tray Proofer | Naegele Inc. If the answer is baskets, an additional variable has to determine the final concept choice: the number of different bread shapes, i.e. basket shapes. If the answer is: 'one or two baskets', the concept choice can be 'Swingtray Proofer'. But if the answer is: 'up to four different baskets', the obvious choice is a 'Multi-Click Line'. 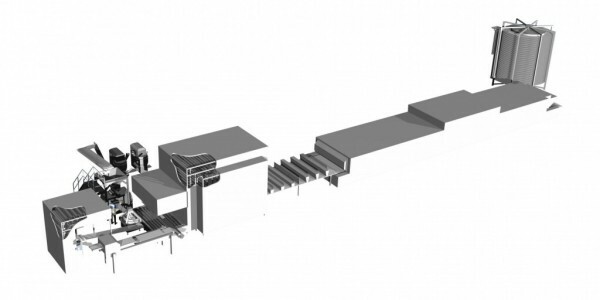 Each of these line concepts can be completed with a Cyclothermic oven or a Thermal Oil oven. The baked products are cooled in Multi-Spiral system. 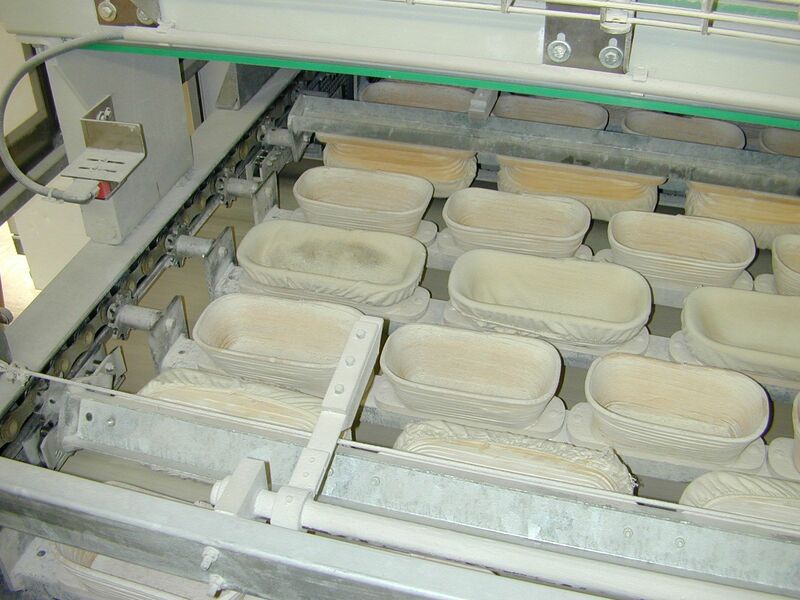 When the bread type requires basket proofing and only one or two basket sizes are specified, the final proofer concept can be the well-known 'Swing Tray'. 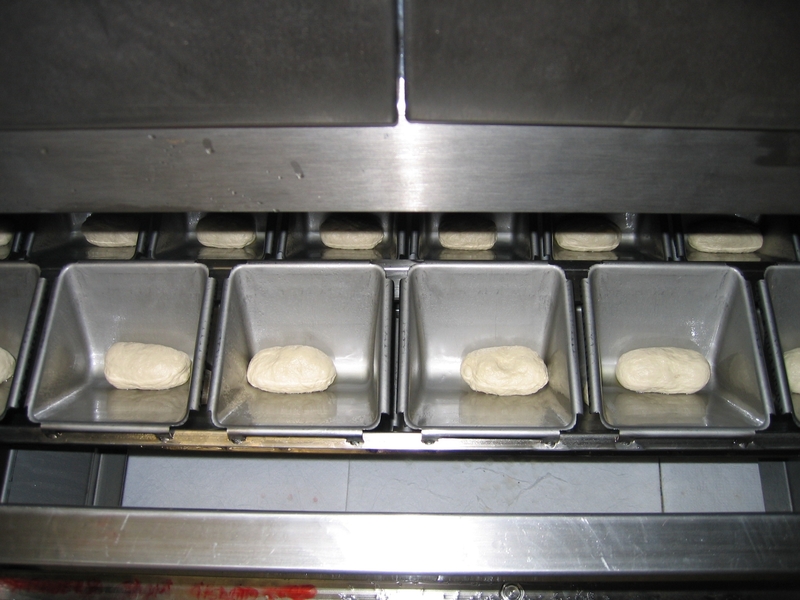 The dough pieces rest in individual baskets while they are fed through the proofer. A row of connected baskets form one swing tray that is connected to a chain system on both ends. One of the advantages is the small footprint of the system: only the in- and outfeed of the proofer are on low level. When the proofing time has elapsed, the swings arrive at the exit point where they are pivoted onto a belt conveyor where flouring, seeding and scoring can be performed.